The World Health Organisation is investigating reports that ISIS militants have been showing up at an Iraqi hospital with Ebola. 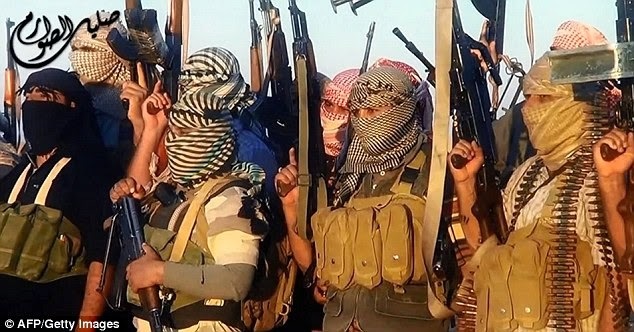 According to three media outlets an undisclosed number of militants displaying signs of the disease attended a hospital in the ISIS-held city of Mosul, 250 miles north of Baghdad. While the reports, from Kurdish and pro-Iraqi sources, remain unconfirmed, WHO spokesman Christy Feig said the group are trying to reach out to officials in ISIS-held areas to offer help. UN workers are currently banned from entering ISIS-controlled areas in both Iraq and Syria so it is unlikely an operation in the area could be carried out.Mosul has been under control of ISIS since June 2014 and over the past few weeks militants have reportedly executed more than a dozen doctors for refusing to treat injured fighters. According to a report in Iraq’s pro-government newspaper, al Sabaah, the disease was brought to Mosul by ‘terrorists’ arriving ‘from several countries’ and Africa.